The public's mushrooming interest in genealogy is fueling a boom in home DNA kits. Randi Patrick wanted to know more about her ancestry, so, like millions of others, she spit into a test tube and shipped the sample off to a DNA testing company. What the Long Islander would come to find out was what she can only describe as “life-changing”: Her biological father wasn’t the man who raised her. Sales of home DNA kits like the one Patrick used are exploding, even though doctors and ethicists are advising test takers to tread lightly. For as little as $69, tens of millions nationwide are fulfilling their curiosity to know more about who they are and where they come from. Last week, genetic ancestry testing surfaced in the rough-and-tumble of Washington politics. After months of having President Donald Trump mock her heritage, Sen. Elizabeth Warren released the results of a DNA test that show she had a Native American ancestor six to 10 generations ago. The Massachusetts Democrat is eyeing a 2020 challenge to the president, who already has $100 million in his re-election war chest. 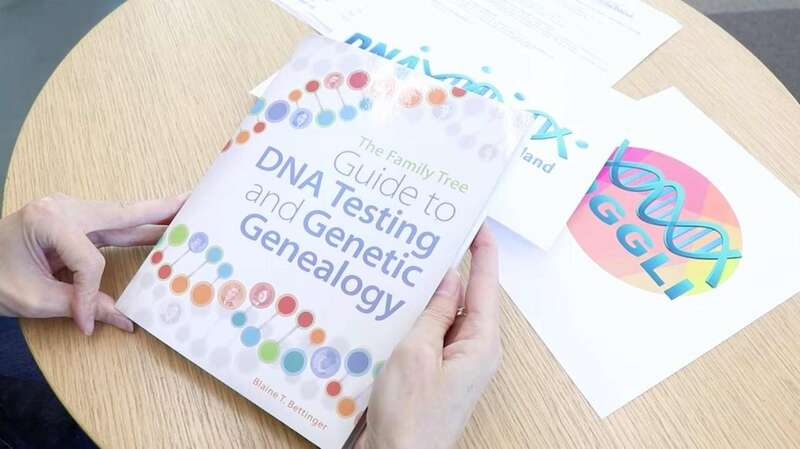 On Long Island, ancestry testing is so popular that a group of genealogy enthusiasts are helping the unschooled sort through their results. Led by founder Patricia Ann Kellner, the DNA Genealogy Group of Long Island counts about 100 members. Kellner estimates she has given lectures at 30 libraries in Nassau and Suffolk counties so far this year. Amazon lists Ancestry's $69 test as a best seller. Oprah's Favorite Things 2017 gift guide described the $99 model by 23andMe as "the ultimate selfie." Ancestry and 23andMe are the biggest of more than three dozen players in genetic ancestry testing. Since its launch five years ago, Ancestry reports sales of 10 million kits. Coming in second is 23andMe with roughly 6 million kits sold. Home DNA kits first came on the market in 1996, according to the Centers for Disease Control and Prevention. Over the next two decades, the CDC said, the industry grew at a snail's pace. With a price tag of nearly $1,000 — 23andMe's health-and-ancestry kit still cost $999 in 2006 — most Americans saw genetic testing as a curiosity for the wealthy. Then, about a decade ago, genealogy took off. NBC started broadcasting a documentary series in 2010 that over its two-year run attracted as many as 7 million viewers a week, Nielsen ratings show. In 2012 came Henry Louis Gates' "Finding Your Roots" on PBS. Ancestry filled the airwaves with commercials. The public's interest in genealogy mushroomed, pushing up sales of home DNA kits. The market really started to take off, though, when companies started bundling two tests into one — health and ancestry, the CDC said. Consumers spent $99 million on home DNA tests last year and will pour $310 million into the industry in 2022, according to Kalorama Information, a health care market research publisher. In the past year alone, the CDC said, the number of home tests jumped from roughly 4 million to more than 12 million. All the tests are much the same: Spit into a test tube, ship the sample and wait for the results, which usually take two to four weeks from 23andMe and up to two months from Ancestry. To ensure customers' privacy, the companies assign a unique code to each sample. Test takers can access their results online — only by code, not personal information. From the beginning, the tests sparked debate. Consumer advocates liked the idea of letting average people have more information about their genetic makeup. Medical professionals, though, sounded alarms. They countered that the tests weren't always accurate and warned that a doctor needed to interpret the results to make them understandable and meaningful. The lines are still drawn today. On accuracy, renowned medical ethicist Arthur Caplan is wary. A consumer, he said, can send the same sample to different companies and get different results. Both Ancestry and 23andMe expressed confidence in the accuracies of their kits. 23andMe puts the accuracy rate for its health test at 99.9%, said spokeswoman Liza Crenshaw, who described the company's sample analysis as "the gold standard for laboratory tests" and the same standard applied to a doctor-ordered test. Ancestry didn't attach a percentage to its accuracy. "The consumer genomics industry is in its early stages but is growing fast and we tell customers throughout the experience that their results are as accurate as possible for where the science is today, and that it may evolve over time as the resolution of DNA estimates improve,” Ancestry's Gina Spatafore wrote in an email. For Caplan, a professor at New York University's School of Medicine, the bigger concern is that the companies generally don't offer genetic counseling so test takers don't get a detailed explanation of their results. Caplan points out, for instance, that customers can think they're at greater risk of a rare condition than they are. Conversely, customers can be lulled into complacency. Caplan uses the example of a consumer who is told she has a low genetic risk of breast cancer. The upshot for Caplan: A doctor can confirm the results and explain the risks. "You would want to have some pretty serious counseling about how to handle this," said Caplan,. "I don't see that." Patricia Ann Kellner is deep into the world of DNA ancestry testing. Five years ago, she had her DNA tested by 23andMe. 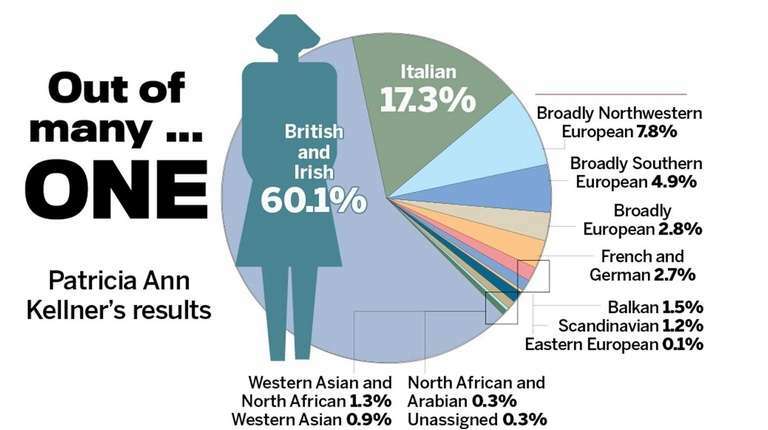 A few months later, to broaden the pool of possible connections, she had herself tested by Ancestry's AncestryDNA. Then, she transferred her results to the database of GEDmatch, which law enforcement officials also used in April to identify a suspect in the Golden State Killer serial murder case. Kellner discovered a first cousin through 23andMe. She sent him an email. He responded. “I’m adopted,” he told her, pushing the point that he wanted to find his birth mother. Kellner had heard that her aunt living in Florida had a child whom she put up for adoption at birth. After a bit more investigating, she made the call. The mother and her newfound son, it turns out, lived only two hours away from each other. Another discovery, though, wasn't joyous. About a year ago, Kellner found that a relative had a son whom she had given up. She had family members who weren't pleased with her, to say the least. Chuck Weinstein of Bellport knew he was adopted, too. But he didn’t know who his birth mother was — and he didn't have a burning desire to find her. Then, eight years ago, Weinstein won a DNA test in a raffle. The results led him to a cousin in Oregon. He was hooked. He kept digging and digging. Last May, the day before his 65th birthday, he learned he had a half-sister living in California. A few months later, another email with an attachment came from a cousin on his mother's side. “Welcome to our dysfunctional family,” wrote the woman, who lives in Southern California. The attachment was a photo of his mom. She was a tall, dark-haired woman who looked like Weinstein's half-sister. “I suddenly burst into tears,” he said. Franca Roefaro wishes she had never taken a home DNA test. The results were disappointing. The 24-year-old Manhattanite had known she was Italian and Greek before she sent her sample to Ancestry. Yet, that's what she learned from her report. She had hoped to at least find out the name of a town or even a region. Now, a year later, something much bigger is eating at her. She can't help but worry that somehow her personal information will get out. "What," asked Roefaro, "did I really sign myself up for?" Privacy is what both Ancestry and 23andMe describe as a top priority. Neither sells customers' personal information nor shares the data with employers or insurance companies, according to Ancestry's Spatafore, and Crenshaw of 23andMe. The companies participate in research projects but don't include any customer's data without explicit permission, the spokeswomen said. A vast majority of customers sign up for the research, they said. Just before last year's holiday shopping season, Sen. Chuck Schumer (D-N.Y.) warned consumers that their personal information could be breached because not all companies are clear about what they are doing with the results. For example, the senator said, consent agreements can be vague, hard to understand, or both. Schumer called on the Federal Trade Commission to make sure that privacy policies for all DNA test kits are "clear, transparent, and fair to consumers." In December, the FTC followed Schumer's warning with tips on how consumers can protect themselves. First, compare privacy policies: "Rather than just clicking 'I accept,' take the time to understand how your health, genetic, and other sensitive information will be used and shared," senior attorney Lesley Fair wrote in a blog post. Next, pick account options thoughtfully: "A company’s out-of-the-box defaults often aren’t the most private options, so it’s unwise simply to accept a site’s automatic settings," Fair wrote. "A more prudent approach to consider is to select more protective options initially and revisit your choices once you’ve become familiar with how the site operates." Finally, Fair said, recognize that hacks happen. And if a company isn't living up to its end of the deal, contact the FTC. Patrick, the retired police officer, came to find out about her father after five years of plowing through records and asking newfound relatives over the telephone if they knew anything about her family. DNA results tell what countries a person’s ancestors came from. But discovering something like Patrick did, genealogy experts says, can sometimes take years of research. Patrick's detective work — “I’m a former cop, that’s what I do” — kept coming back to one man. In May, she made a call to a woman who turned out to the man's daughter. “I know why you are calling,” the woman told Patrick. They started talking. Their families had lived in the same building in Brooklyn. The woman remembered seeing Patrick’s mother with her father several times in her family’s apartment. Her parents, she said, were separated and divorcing. Back then, Patrick's father worked a lot of nights. She believes her mother was lonely. Both are gone now. So is her biological father. Now, Patrick has two new siblings, a half-sister and a half-brother. The three had their first meeting about a month ago, at a diner in Fort Lee, New Jersey. She told them she never thought she looked like the man who raised her. On Wednesday, she texted her half-sister. And she called back.